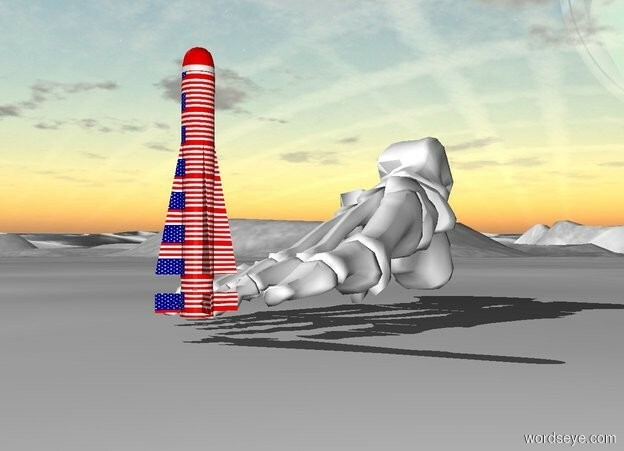 Input text: the very tiny american missile is in front of the foot. the missile is facing up. the ground is white. Thanks to RWS for the not-so-fun pun! Back in my day, we worried about global warming.